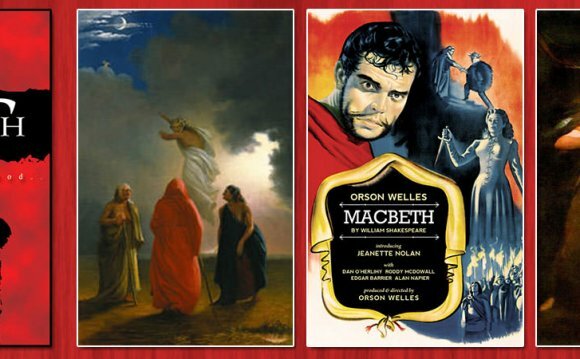 In order to enjoy to the full the poetry of such a play as Macbeth the student should be able to read it rhythmically, and to do this demands some knowledge, at least, of the general principles of Shakespearean versification. The metre of Macbeth is, as is well known, very irregular. This is due, perhaps, in some few places to the corrupt state of the text, but more generally to the fact that by the time he wrote Macbeth Shakespeare had acquired such a mastery of language and metre that he often disregarded the rules which earlier poets, and he himself in his earlier works, had carefully observed. One often feels in reading Macbeth that Shakespeare did not compose the drama line by line, but rather in groups of lines, and that so long as each group produced the rhythmical effect he sought, it mattered little to him whether or not the individual lines conformed to strict metrical rule. At the same time it is necessary for us to know these rules, if only to appreciate the freedom with which Shakespeare departs from them. The simplest division of the drama is into prose and verse. There is comparatively little prose in Macbeth, The letter in i. 5 is naturally in prose; the porter in ii. 3 talks prose as do most of Shakespeare's low comedy characters; the dialogue between Lady Macduff and her son in iv. 2 wavers between verse and prose in a rather curious fashion (see note on this passage, page 260); and finally the sleep-walking scene, v. i, is for the most part in prose. This may be explained by the fact that Shakespeare almost without exception puts prose rather than verse into the mouths of the insane, and Lady Macbeth's somnambulism is meant by him to be regarded as a symptom of her mental disorder. The verse of the drama falls naturally into two parts: (a) blank verse, that is, unrhymed lines in iambic pentameter; (b) rhymed lines in various metres. To point out the stresses of a line in this way corresponds in the study of English metre to the elaborate system of scanning classical verse which has sometimes been applied to English poetry. It is evident that a prolonged succession of such regular lines would be extremely monotonous. This may easily be seen by reading aloud some of the longer passages in Shakespeare's earlier plays, such as the Comedy of Errors, where many of these regular lines occur in unbroken succession. In order to avoid such monotony Shakespeare soon began to make use of a number of variations from the normal line. Some of these from their frequent occurrence in Macbeth deserve particular notice. Sometimes two such syllables are added, making what is called the triple, or the double feminine, ending. The Peel of Lumphanan, also known as the Peel Ring or Peel Bog of Lumphanan, is a defensive structure dating back to the 13th century. It is located near Lumphanan in Aberdeenshire, north-east Scotland.